Set high upon a New Jersey hillside within protected agricultural land, this estate garden has expansive views to the surrounding lush countryside. Multiple terraces offer spaces for dining, soaking in the spa, and gathering around the 20’ long weathering steel fire feature. 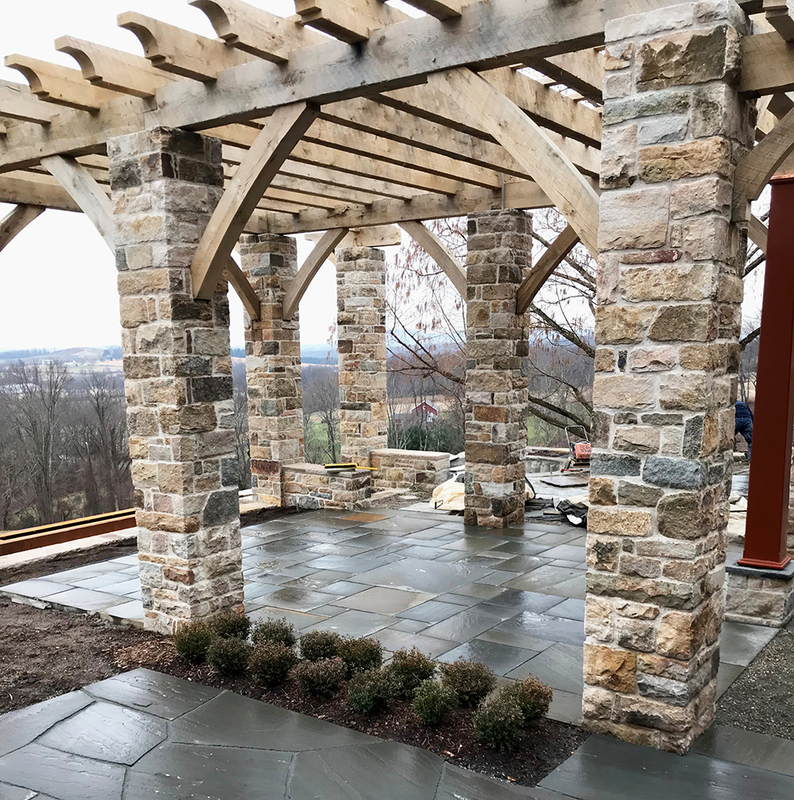 New entry gate and pillars are flanked by colorful meadow plantings that welcome visitors on the long approach to the home. Construction of phase one is nearing completion this spring. Future phases will include alpine gardens, parterres, an orchard, swimming pool, greenhouse, and an extensive cutting and vegetable garden.